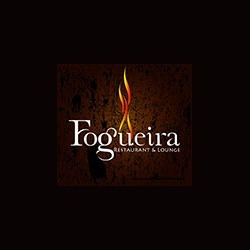 Fogueira is a restaurant & lounge with an authentic Brazilian Churrascaria on the 35th floor of the Ramada Plaza Hotel. 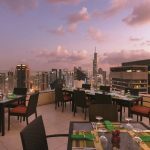 Meaning “bonfire” Fogueira Restaurant & Lounge features all-you-can-eat Brazilian BBQ, along with a live Latino band bringing in a vibrant atmosphere from Monday till Saturday. Say yes to the gauchos roaming the restaurant bringing 20+ cuts of meat including top sirloin, fillet, lamb and chicken. An impressive salad bar features side dishes like tropical mixed salads, palm hearts and avocado. Indulge in Brazilian specialities such as farofa, black beans, steamed rice, polenta, mashed potatoes, fried banana and freshly baked cheese bread-pao de quejo. 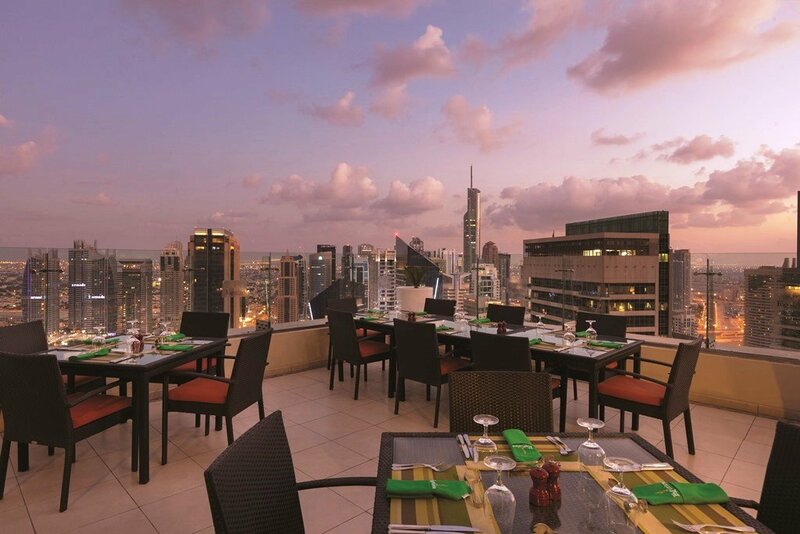 This place with a great view of Dubai Marina from the terrace that features an outdoor dining giving guests a sure dining experience.